I’m flattered to have another award winning author on the One Book Interview this week. As well as writing, author 48 also describes herself as a diver, stargazer and once and future dancer with more than a passing knowledge of medicine. Not only that, her interview includes a simple, yet effective piece of advice for any aspiring author: cut the fat, add some muscle. Good people of the Internet, writing out of Brooklyn, NY – Amanda Justice. This question is impossible to answer, because “should” implies a prescriptive approach like, everyone “should” take vitamins. We should all eat right and exercise, and we should all read (or see) at least five of Shakespeare’s plays and at least one book by each major author of the Nineteenth and Twentieth Centuries. But I’m disinclined to define the “eating right” menu here, because I haven’t read any Thomas Wolfe or Thomas Pynchon myself, and I found Hemingway and Dostoyevsky a real slog. Wait, oh, did you mean, should read…for enjoyment? Again, I’m not going to name a book or an author because my ice cream may be your broccoli. I happen to like broccoli, and Brussels sprouts, but the point is, I could name Pride and Prejudice or Lempriere’s Dictionary or Lord of the Rings or Wizard of Earthsea, but there’s no way to tell whether the reader of this advice would enjoy and value those books as I have. If there’s an Earthsea Cycle bound as a single volume available somewhere, I’ll take that. Ursula Le Guin is my literary idol and the worldview she presents in her Earthsea stories resonates very closely with my own, so this series would be a great comfort while I’m living off my Martian potato crop. If it must be a single novel, I’d want something hefty and dense to keep me occupied. I’d also want a complete story in one book, so I wasn’t longing to find out what happened next. So in that case, I might choose Le Guin’s Always Coming Home or Lawrence Norfolk’s Lempriere’s Dictionary. Last year during one of the virtual fantasy conventions for authors and readers, I picked up a book by E.P. Clarke called The Midnight Land, which sounded mildly interesting as a historical fantasy set in pre-Christian Russia. Turned out, I loved this book, which followed a princess with magical empathic abilities that her associates think make her weak but which turn out to make her powerful in a really terrifying way, once she learns how to use them. Clark also explores how a matriarchal society might work in some really interesting ways. 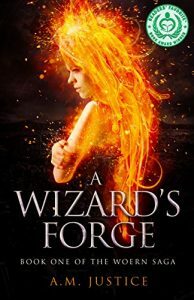 A Wizard’s Forge is my only full-length novel currently available for sale, so I have to say that one. However, I do love this book. It’s a rewrite of a previously published book called Blade of Amber, which had some flaws and which I was never fully proud of. I got some good advice from a writer friend and cut a lot of fat and added muscle to the original story, and now I am really pleased with how it turned out. I wrote a blog post on why I decided to rewrite this story instead of moving on to something new, which people can find here. This is almost too easy: The Return of the King had a huge influence on me, because it’s about small people who no one thinks are capable and yet who do tremendous deeds. As a 12-year-old girl reading that book for the first time, I naturally latched onto Eowyn’s story, who achieves the impossible because she’s a woman, not in spite of it. Strunk and White’s Elements of Style. I am a professional writer and editor, and this book was the foundation of my training as both. In fact, I think this is a book everyone should read. A Wizard’s Forge is the first volume in the Woern Saga; I hope to have the sequel out within the year. Forge is available from all major online retail outlets, from Thompson Shore, or you can get a signed paperback by ordering it from my website. You can find Amanda here. 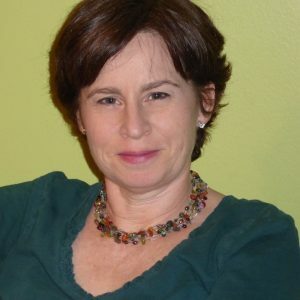 A. M. Justice is an award-winning author of science fiction and fantasy, a freelance science writer, and an amateur astronomer, scuba diver, and once and future tango dancer. She currently lives in Brooklyn with a husband, a daughter, and two cats.